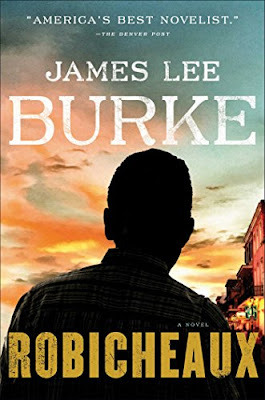 The Washington Times published my review of James Lee Burke’s Robicheaux. Dave Robicheaux, James Lee Burke’s troubled, flawed and heroic character, first appeared in the 1987 crime novel “Neon Rain.” The Cajun, semi-retired New Iberia, Louisiana, sheriff’s detective, a Vietnam veteran, former New Orleans homicide detective and struggling alcoholic, has throughout the series of novels seen more than one man’s share of violence and tragedy. In “Robicheaux” Mr. Burke brings back his popular character to face off against his usual suspects; crooked cops, gangsters, corrupt politicians, psychotic killers, and heartless and greedy patricians. Once again, Dave Robicheaux is both aided and hampered by Clete Purcel, his former New Orleans homicide partner and fellow Vietnam veteran. Purcel, a private detective, is a big and heavy man who drinks and eats to excess. Wearing a porkpie hat over his short blond hair and colorful Hawaiian shirts over his girth, he might appear comical to a casual observer, but Purcel is a dangerous, one-man wrecking crew. Haunted by his abusive father, war memories and his violent past on both sides of the law, Purcel is self-destructive and prone to violence. But he also has a strong sense of justice and truly cares about crime victims and the oppressed. He is also loyal and protective of his few friends, Dave Robicheaux being one of them. … Robicheaux is a provocative and powerful crime novel; gritty, atmospheric and mystical. Paula McMahon at sun-sentinel.com offers a piece on the reputed Philadelphia Cosa Nostra crime family boss, Joseph Merlino (seen in the above photo), who is going to trial in New York on racketeering charges. 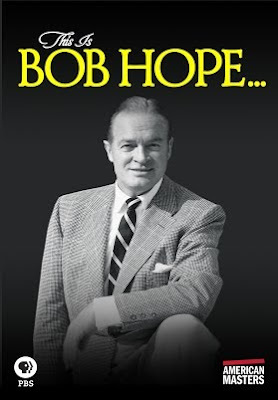 I'm a huge fan of Bob Hope, so I look forward to watching tonight's PBS profile of the late, great comedian, actor and performer on their American Masters series. Stephanie Nolasco at Fox News interviewed his daughter about this life and his entertaining the troops. 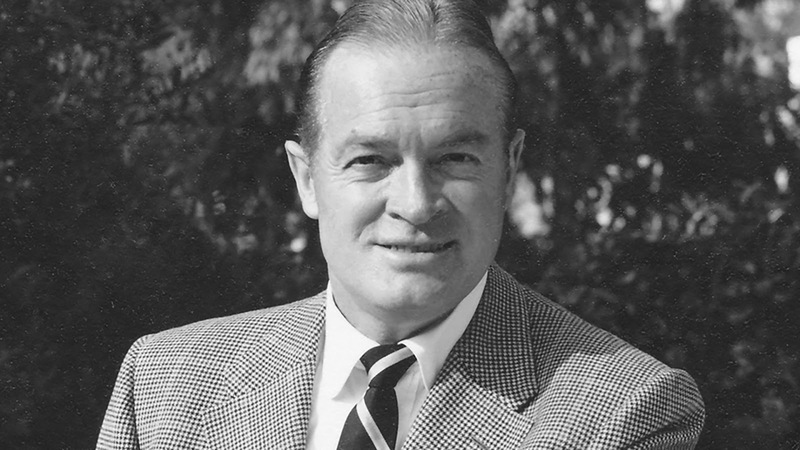 From vaudeville to Hollywood, Bob Hope conquered it all as a beloved showman — but his greatest achievement was entertaining the troops. 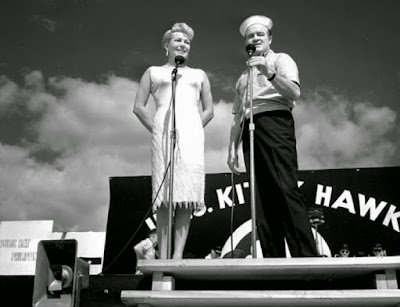 At the time of his death in 2003 at age 100, the New York Times reported the film, TV and stage star performed nearly all of his 400 radio programs at military bases and embarked on annual tours where he delighted American servicemen with his sidesplitting monologues. Hope even took time to befriend weary soldiers and, as his name implies, deliver hope to those fighting for their country. 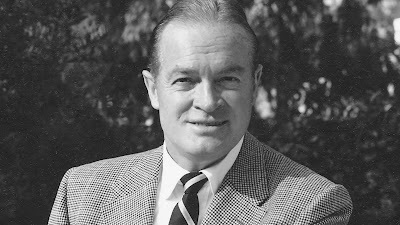 His eight-decade career is the subject of a new PBS documentary, titled “American Masters: This is Bob Hope…,” which explores his contributions as a comedian, actor and proud patriot. And the unabridged director’s cut features over 35 minutes of footage just for fans. Fox News spoke with his daughter Linda about growing up with Hope. Fox News: What are some of your favorite memories involving your dad? Linda Hope: The fun of his homecomings. When he would go away usually for several weeks at a time and finally come home, we anticipated it for days. Particularly right around the holidays because my mother had a rule that when dad was away at Christmas, we would only be able to open just a few presents on Christmas Day. Then we would save the rest of our gifts so we can have a Christmas with dad. It was always much more fun that way. We basically had two Christmases…. It was always a great time with wonderful food. He loved roast lamb. We actually used to have that at least every other week, up to once a week. He loved it so much. And lemon meringue pie, he loved. 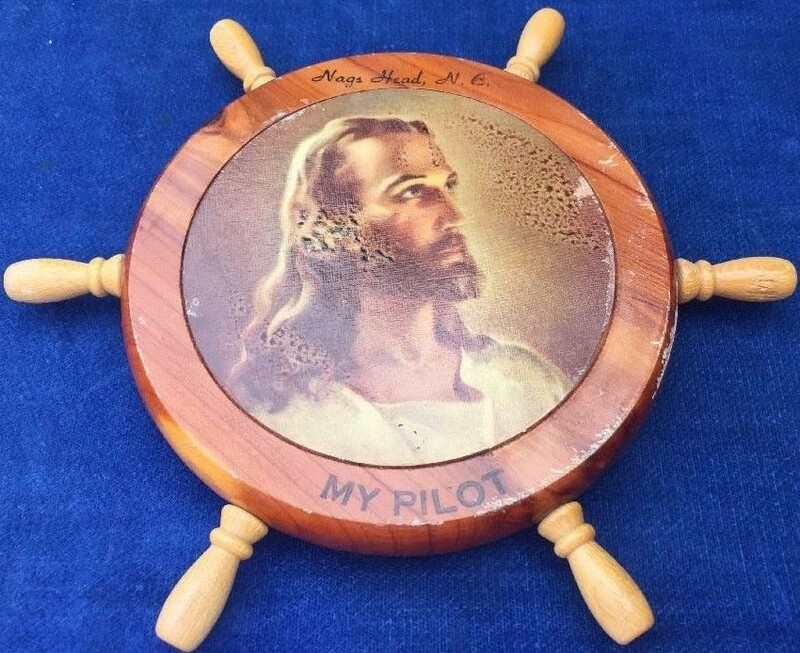 Those were two things his mother used to make for him when he was growing up. Fox News: When did his passion for entertaining the troops begin? Hope: It started back before we had gotten into the Second World War and my dad was doing his radio broadcast. He had moved out to Los Angeles from New York. He was doing his show out of the NBC studio in Los Angeles. The troops were starting to build up a little bit. There was a sense that war was eminent. Roosevelt had tried to keep us out of the war for so long, but finally the writing was on the wall. Hitler was gobbling up all of Europe and a lot of young men were signing up. A lot of these bases around Los Angeles were filled with young men. It turns out one of dad’s writers had a brother who was stationed in March Field in Riverside, California. He said, “Why don’t you think about bringing your show out here? There’s lots of guys and I know they would love to see you.” So he did that. He couldn’t believe the number of people in the audience because in a studio audience, you get 100-150 at most. But here, he had thousands of guys that were yelling and screaming. He loved the sound of laughter, clapping and people having fun. And I think he grew addicted to that over the years. He needed to be out there with those guys and make them laugh. Fox News: Did he meet with the troops after his performances? Hope: He certainly did. When he would go to different bases, he would always have a meal with them, see if they were exercising or take part in whatever it was they were doing. He took it all very seriously. It was very important for him to spend one-on-one time with the different troops. Fox News: How did Bob Hope give back to veterans? Hope: He would go to the hospitals all the time and just show up. Sometimes we would say, “Where did dad go?” And my mom would go, “Oh, he went to the VA hospital in Los Angeles to spend a few hours with the guys.” He would also do that if he was traveling someplace and there was a VA hospital there. He would make a visit and spend time with the different men while going through the different wards. 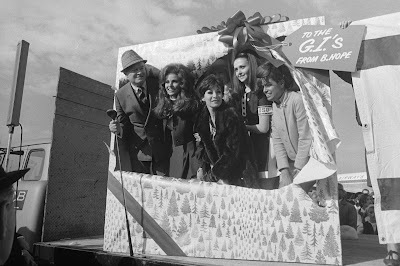 Note: One of my life’s regrets was not seeing the Bob Hope Vietnam Christmas show in December of 1970. I was an 18-year-old sailor stationed aboard the aircraft carrier USS Kitty Hawk. 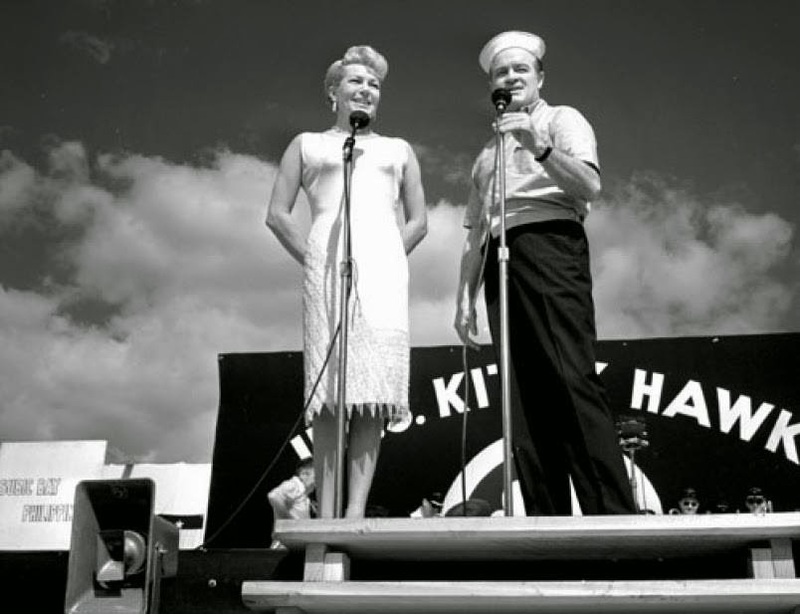 We saw photos of Bob Hope's earlier shows aboard the Kitty Hawk and the rumor was that Hope would perform his show aboard our flight deck as the carrier lay anchored in Da Nang harbor. We did not see Hope or those beautiful girls that he always brought with him. When Bob Hope performed his Christmas show in South Vietnam that year, the Kitty Hawk was way up north, off the coast of North Vietnam, giving a good pounding to the Communists. We missed the Christmas show, but our combat air sorties saved countless American and South Vietnamese lives that year. 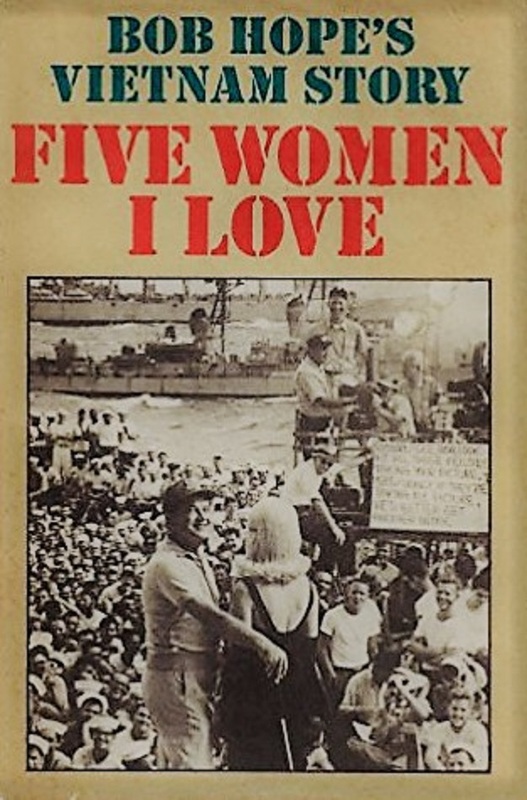 I later watched the TV show about the 1970 show and I bought and read Bob Hope’s book about his Vietnam shows, Five Women I Love. The book is still part of my library. 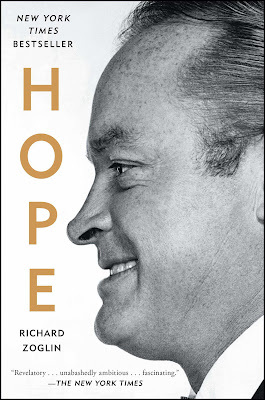 To learn more about Bob Hope, you can read Richard Zoglin’s Hope. Victor Davis Hanson offers his take on the Darkest Hour film and what the world owes the late Winston Churchill in the Washington Times. The story unfolds with the drama of British Prime Minister Winston Churchill assuming power during the Nazi invasion of France in May 1940. Churchill’s predecessor, the sickly Neville Chamberlain, had lost confidence of the English people and the British government. His appeasement of Adolf Hitler and the disastrous first nine months of World War II seemed to have all but lost Britain the war. Churchill was asked to become prime minister on the very day that Hitler invaded France, Belgium and the Netherlands. The armies of all three democracies — together larger than Germany’s invading forces — collapsed within days or a few weeks. About a third of a million British soldiers stranded in a doomed France were miraculously saved by Churchill’s bold decision to risk evacuating them by sea from Dunkirk, France, where most of what was left of the British Expeditionary Force had retreated. Churchill’s greatest problem was not just saving the British army, but confronting the reality that with the German conquest of Europe, the British Empire now had no allies. The Soviet Union had all but joined Hitler’s Germany under their infamous non-aggression pact of August 1939. 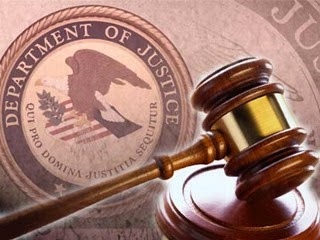 The United States was determined at all costs to remain neutral. 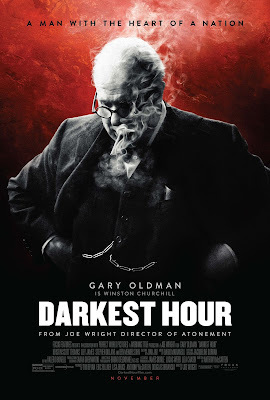 Just how neutral is emphasized in “Darkest Hour” by Churchill’s sad phone call with U.S. President Franklin D. Roosevelt. FDR cleverly assures Churchill that in theory he wants to help while in fact he can do nothing. “Darkest Hour” gets its title from the understandable depression that had spread throughout the British government. Members of Churchill’s new War Cabinet wanted to sue for peace. Chamberlain and senior conservative politician Edward Wood both considered Churchill unhinged for believing Britain could survive. 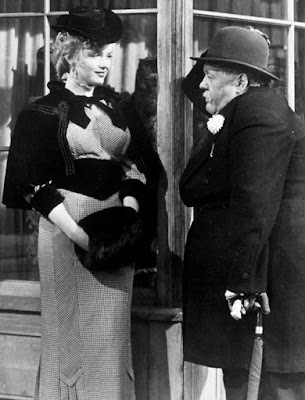 In one of the few historical lapses in an otherwise superb film, Churchill is wrongly portrayed as seriously conflicted and about to consider the deal with Mussolini — until he takes a subway ride and rediscovers the defiance of the average Londoner. The subway scene is pure fantasy. … Churchill led the only major nation to have fought Hitler alone. Only Britain fought from the first day to the last of World War II. It alone entered the war without attacking a country or being attacked, but simply on the principle of helping an independent Poland. 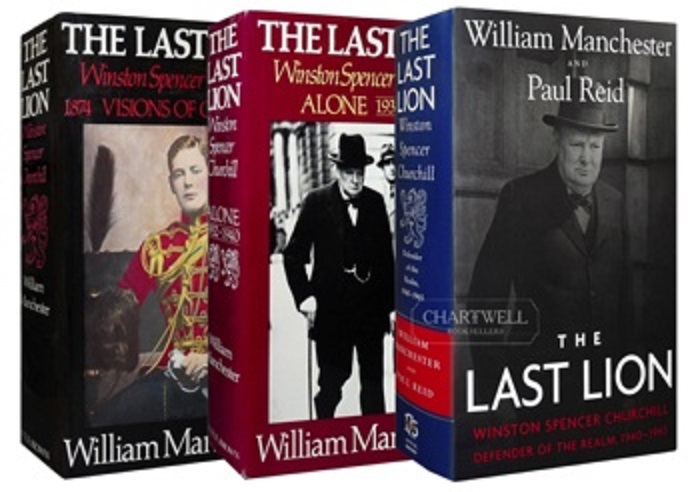 To learn more about Winston Churchill I suggest you read William Manchester's outstanding trilogy, The Last Lion. Seth Lipsky at that other Post – the New York Post – offers his take on the Steven Spielberg film The Post, a film about the liberal, anti-war Washington Post that published “The Pentagon Papers,” which documented the government’s lies about the Vietnam War. Ironically, most of the lies were told by the liberal-Democrat Kennedy and Johnson administrations. ‘Democracy dies in darkness” is the new motto of The Washington Post. It adopted the slogan amid the campaign of the liberal press to topple President Trump. 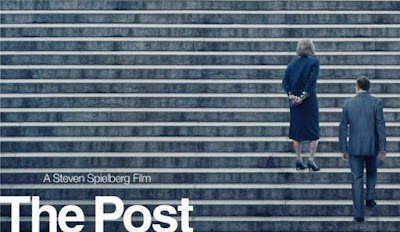 Steven Spielberg’s new movie about The Washington Post is a reminder — however unintended — of something else. Sometimes democracy dies in the full glare of the press. That’s what happened in Vietnam. And the film, “The Post,” takes on a special irony today, as a press full of righteous indignation seeks to overturn an American election. Spielberg’s epic is about events that took place in 1971. That’s when the WaPo published the secret history of the Vietnam War known as the Pentagon Papers. The history had been assembled on orders of LBJ’s secretary of defense, Robert McNamara. A security analyst, Daniel Ellsberg, who’d turned against the war, leaked the documents to The New York Times. The papers showed that America’s leaders sometimes lied. About, say, the events in the Tonkin Gulf that led Congress to authorize the Vietnam War. Or about whether we could win. The Times started publishing the papers in June 1971 but was stopped by a federal judge. Ellsberg then gave boxes of the papers to The Washington Post. All eyes then fell on the paper’s owner, Katharine Graham. Played by Meryl Streep, the doughty doyenne is torn between two factions. On one side are her bankers, who are trying to raise capital for the paper; on the other, her famed editor, Ben Bradlee, played by Tom Hanks. “What are you going to do, Mrs. Graham?” Bradlee asks her. The real drama, though, was the war. Bradlee is up on his high horse. “The way they lied — those days have to be over,” the editor tells Mrs. Graham. Fair enough. It’s not my intention to fault either of them. Yet this movie deals with only some of the lies about Vietnam. Inexcusable as they were, the lies told by the Americans were relatively small beer. It was our Communist enemies who told the big lie — that war was a struggle for liberation by Vietnam’s noble comrades, who took on the Americans with pitchforks. What hooey. 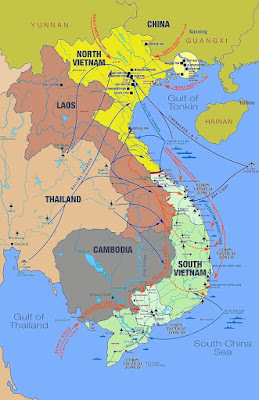 The truth is that the war was a conquest of free South Vietnam by a well-armed, Soviet-backed regime in the north. At the end, the enemy emerged from the jungles with tanks and surface-to-air missiles. The Pentagon Papers disclosed that our own leaders, in effect, refused to heed evidence that we would lose the war — and sent our troops anyway. “The Post” seems to buy into this theory. Yet it wasn’t sending troops that turned out to be the error. Rather, it was assuming we couldn’t win. On the ground in Vietnam, our GIs did just that. In the most famous battle, Tet in 1968, our soldiers trounced the Communists. 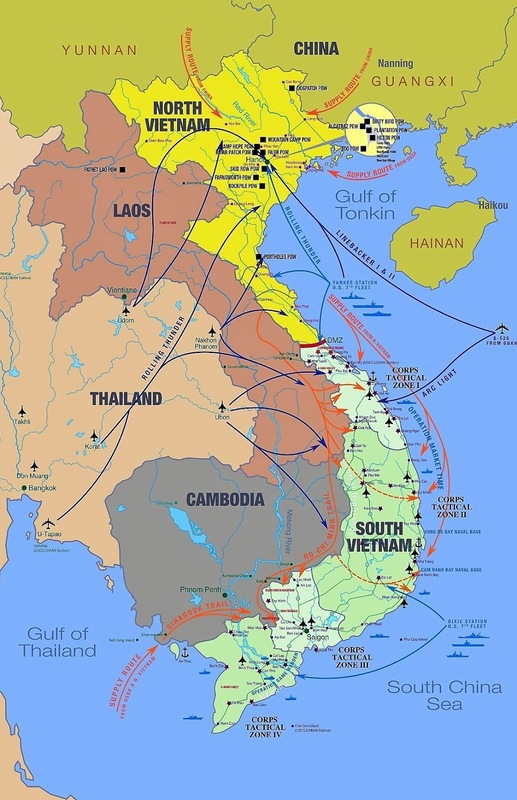 The cause of free Vietnam was betrayed in the US Congress, which had been turned by the anti-war movement. … Let President Trump — and his critics — remember: When Congress cut off Vietnam, it wasn’t about saving our GIs. They’d long since been withdrawn. No, the decision by Congress was to retreat in the face of Soviet Communism. 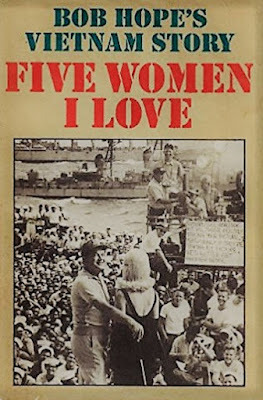 It was about abandoning the hope of free Vietnam itself. Vietnam’s democracy died in broad daylight. Although the Christmas season often prompts us to share our good fortunes with the less fortunate, one should be wary of the crooks out there who take advantage of our generosity. 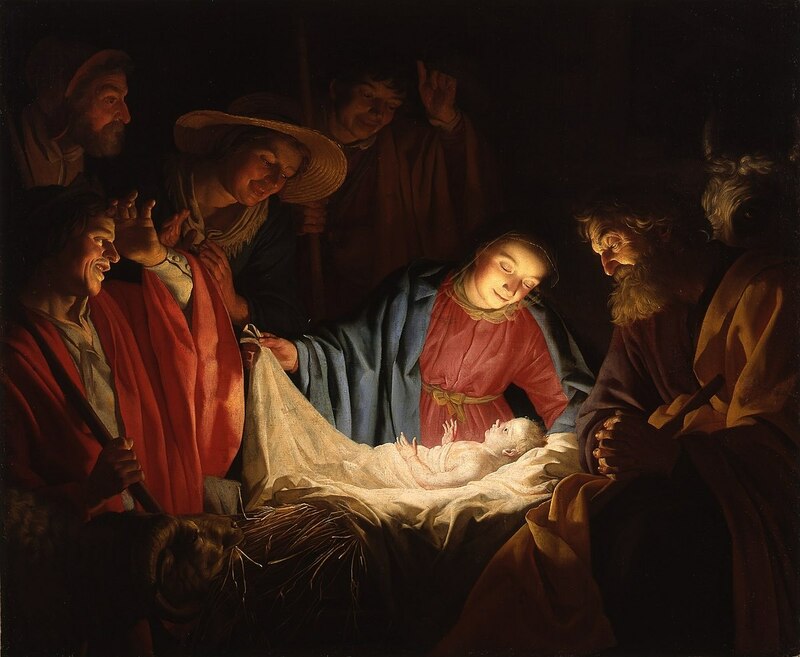 Scott S. Powell at the Washington Times offers a piece on the joy of the savior’s birth. 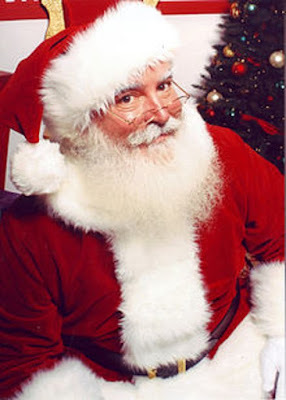 For Christians, Christmas is a unique time of joy associated with the birth of the savior Jesus, whose life, death and resurrection makes possible a personal and intimate relationship with God. Jesus was born a Jew, and his teachings were built on the foundation of the Torah and the Old Testament. And so it is that Christians and Jews have much in common and share a natural mutual affinity. Christians and Jews have both faced persecution throughout history, and hostility is again intensifying. And that persecution comes not just from radical Islamists, but also from secular progressives who now dominate Western culture. “It’s a Wonderful Life” is an American film classic enjoyed by more during the Christmas season today than when it first came out in 1946. 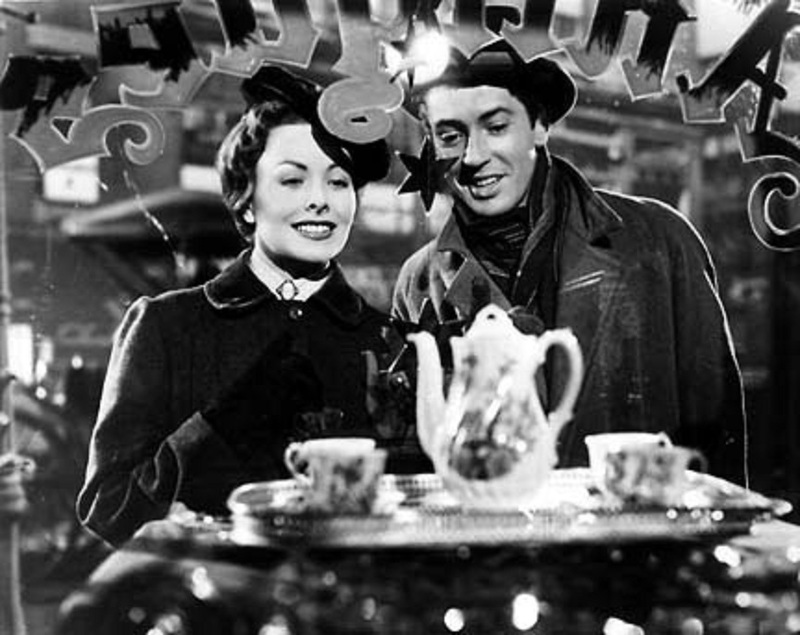 Directed by the legendary Frank Capra, the film is an otherworldly story revolving around a main character played by Jimmy Stewart in a narrative showing what life would have been like if he had never been born. Similarly, since Capra’s collective cinematographic works exhibit a profoundly Christian vision, it’s worth extrapolating on how history and the present would be different if Christ had never been born. History shows that the Christian Church has brought about more changes for the advancement and benefit of people than any other force or movement. Nonbelieving secular-minded people might be surprised by the myriad achievements by committed Christians — progressive accomplishments that they too celebrate. Before Christ, human life was cheap and expendable all over the world. In the Americas, the Near East, Africa, the Middle East and the Far East child sacrifice was a common phenomenon. Babies, particularly females — who were considered inferior — were regularly abandoned. 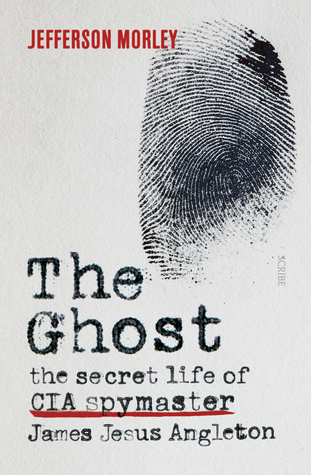 Author George Grant points out: “Before the explosive and penetrating growth of medieval Christian influence, the primordial evils of abortion, infanticide, abandonment, and exposure were a normal part of everyday life ” That changed in the West with the 6th century Christian Byzantine Roman Emperor Justinian whose Law Code declared child abandonment and abortion a crime. 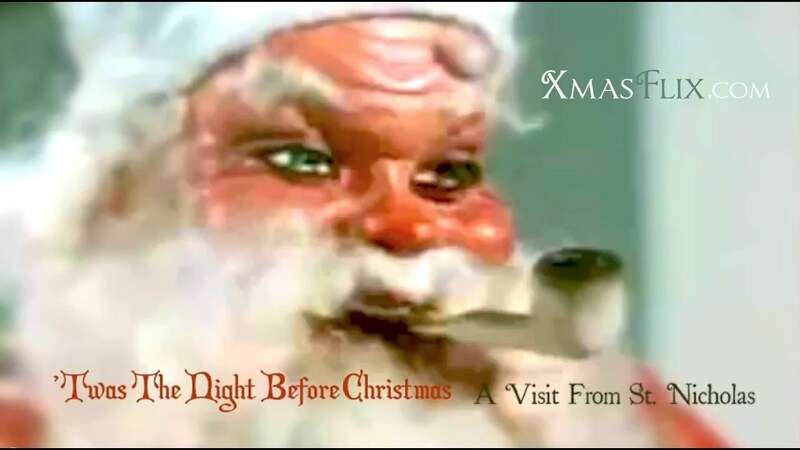 The New York Post Editorial Board offers a piece on Clement Moore, the author of the world-famous poem, Twas the Night Before Christmas. 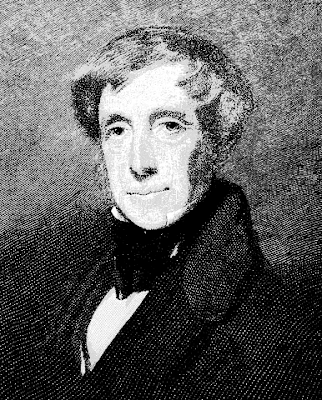 Born in New York City in 1779, Clement Clarke Moore became a noted lecturer and writer. Yet his life would merit little more than a footnote in New York’s history, except for the one poem for which he is remembered. Written for his children in 1822, it was first published (anonymously) in the Troy Sentinel the next year. The poem, of course, was “A Visit From St. Nicholas” (“The Night Before Christmas”). I have always associated the poem with the Mabel Beaton Marionettes, whose performance I saw as a young child on TV. Alexander Scourby portrayed Moore and read the poem. I’ve shown the old broadcast to my children and later to my grandchildren. 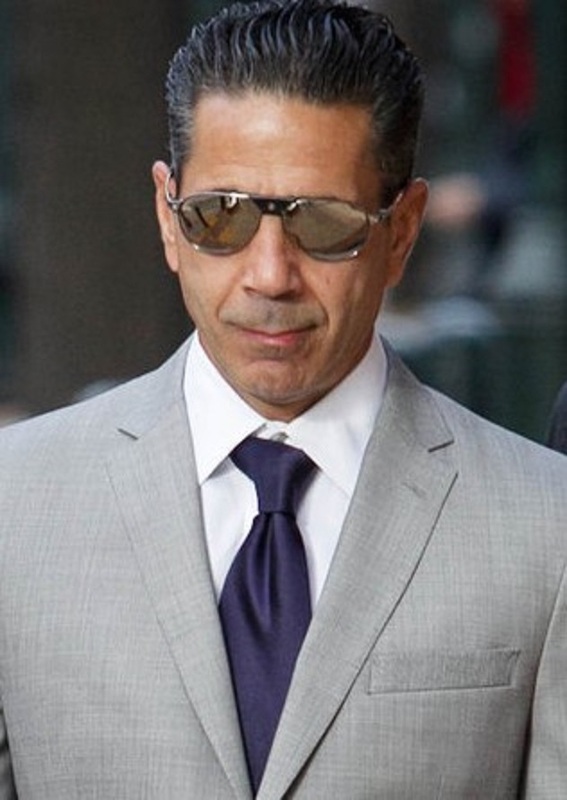 Note: The above photo is of Clement Moore. There are a half dozen or so films I like to watch each year during the Christmas season. 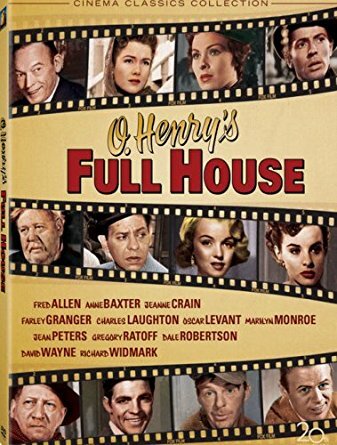 One of the films is O. Henry’s Full House. The 1952 film offers four adaptations of O. Henry’s great short stories with Christmas themes, featuring five fine directors, fine screenwriters and a fine cast. 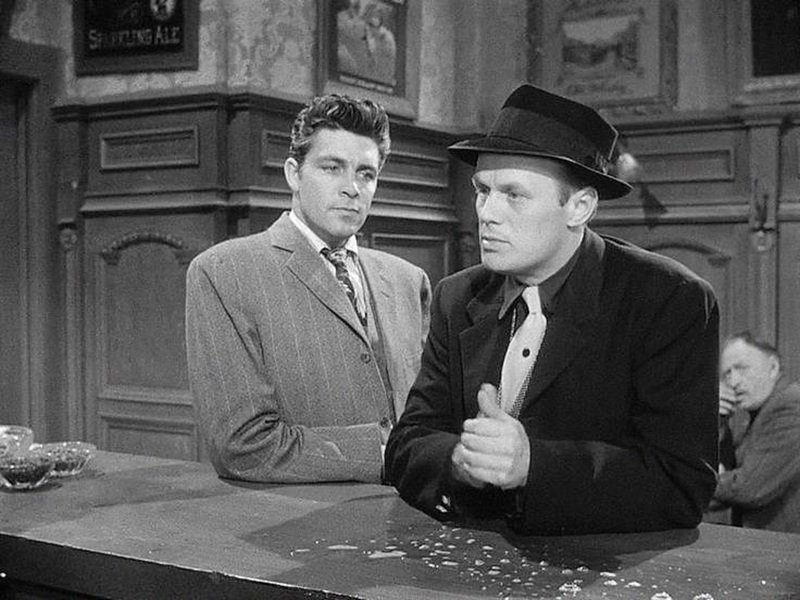 The film presents some of my favorite short stories from one of my favorite writers. The O. Henry stories - The Clarion Call, The Gift of the Magi, The Cop and the Anthem, and The Last Leaf - offer humor, drama, pathos and irony. I especially like the crime story The Clarion Call, with Dale Robinson and Richard Widmark (seen in the above photo). 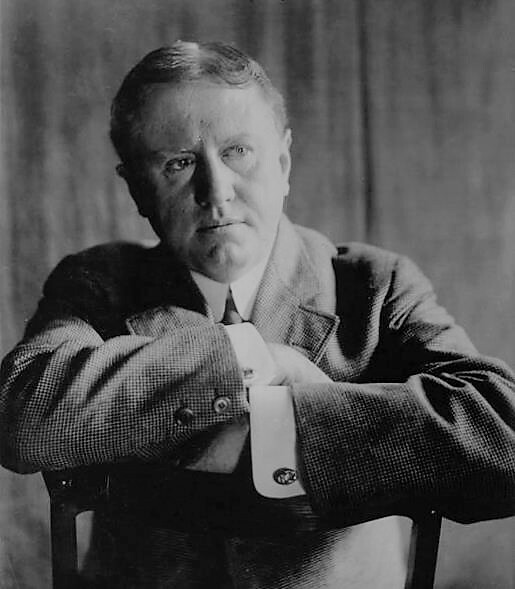 Note: The above photo is of William Sydney Porter, whose pen name was O.Henry. The U.S. Navy released a photo of Lt. Larry Young, dressed as Santa, as he signals an F/A-18 E Super Hornet on the flight deck of the aircraft carrier USS Theodore Roosevelt (CVN 71). Theodore Roosevelt and its carrier strike group are deployed to the U.S. 5th Fleet area of operations in support of maritime security operations to reassure allies and partners and preserve the freedom of navigation and the free flow of commerce in the region. The above photo was taken by Mass Communication Specialist 3rd Class Victoria Foley. Guy Taylor and Dan Boylan at the Washington Times offers a piece on the Obama administration’s manipulation of classified information for political gain. 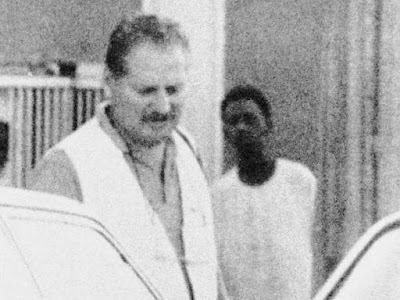 As History.com notes, on this day in 1975 the terrorist known as Carlos the Jackal (seen in the above and below photos) led a raid on OPEC. In Vienna, Austria, Carlos the Jackal leads a raid on a meeting of oil ministers from the Organization of Petroleum Exporting Countries (OPEC). German and Arab terrorists stormed in with machine guns, killed three people, and took 63 people hostage, including 11 OPEC ministers. Calling his group the “Arm of the Arab Revolution,” Carlos demanded that an anti-Israeli political statement be broadcast over radio, and that a bus and jet be provided for the terrorists and their hostages. Austrian authorities complied, and all the hostages were released in Algeria unharmed. 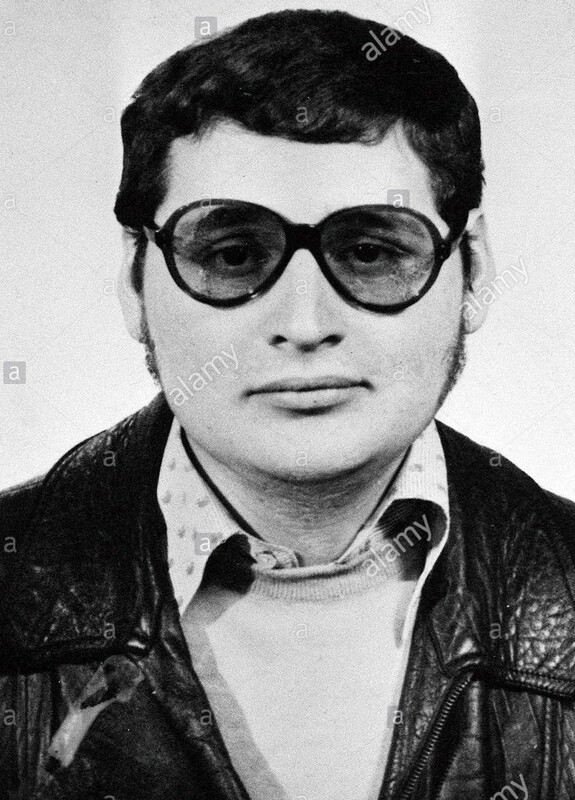 Note: Ramirez was given the name “Carlos the Jackal” by reporters after French police found a paperback copy of Frederick Forsyth’s classic thriller The Day of the Jackal in his abandoned apartment. 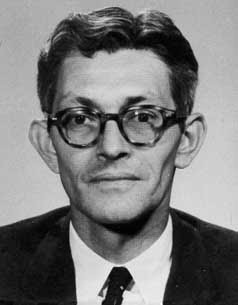 Veteran journalist and author Joseph Goulden offers a negative review of Jefferson Morley's The Ghost: The Secret Life CIA Spymaster James Jesus Angleton in the Washington Times..
Jefferson Morley sets out to prove that James J. Angleton (seen in the below photo), the longtime — and controversial — head of counterintelligence for the Central Intelligence Agency — was guilty of a medley of sins, including complicity in the murder of President Kennedy. One must blink at some of Mr. Morley’s outlandish claims. 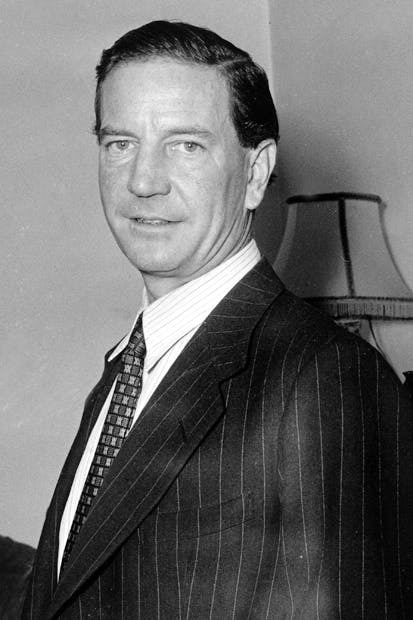 An example: that Angleton had a homosexual relationship with Kim Philby (seen in the below photo), the British intelligence officer who also spied for the Soviet Union. Why such a book? 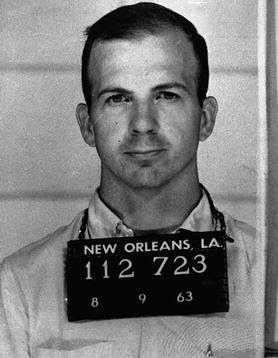 Mr. Morley is prominent in a claque of deniers who have spent decades trying to prove that someone other than Lee Harvey Oswald (seen in the below photo) killed Kennedy. 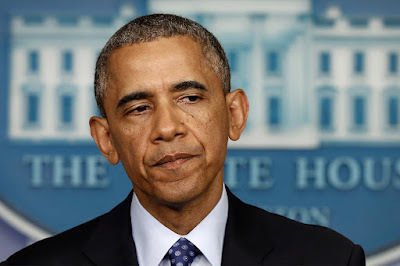 Jonathan Schancer at the New York Post offers a piece on how President Trump can repair the damage the Obama administration caused by derailing a major DEA operation so they could have their Iran nuclear deal. The Obama White House systematically dismantled a top-secret government initiative called Project Cassandra, which was designed to target Hezbollah’s $1 billion in annual drug proceeds. The gripping story, by Politico’s Josh Meyer, lays bare the details of the Lebanese terrorist group’s cocaine and crime schemes, and suggests Obama allowed the activities to continue so as to not upset Iran, Hezbollah’s patron, amidst nuclear negotiations. Put aside for a moment that Obama may have provided a glide path to a terror group’s drug activities so he could pursue a deeply flawed nuclear deal that only paused Iran’s march to the bomb, yet yielded this state sponsor of terrorism some $150 billion. We’re now faced with the urgent challenge of trying to rebuild a government bureaucracy that was gutted. Once the right person is in place, we need to revitalize the agency. 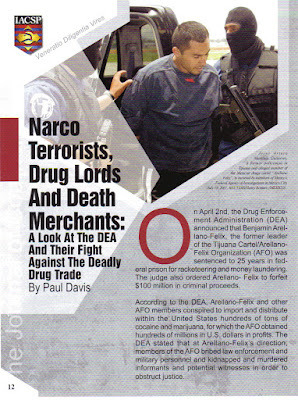 Yes, that means more money and jumpstarting the interagency task force that fights narco-terrorism abroad. But perhaps more important, we need to clarify the DEA’s mission. 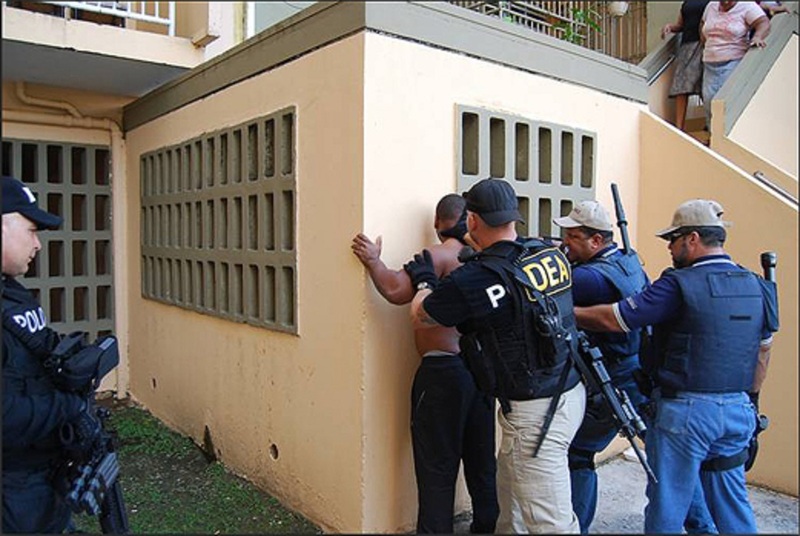 This crucial component of the bureaucracy needs to focus less on domestic gangs (let law enforcement do that) and get back to the business of fighting our drug wars abroad — where they can actually be won. From there, the Treasury Department needs to swing into action. Hezbollah is already sanctioned under our terrorism program. But it must be named as a Transnational Criminal Organization and slapped with a Kingpin Act designation. 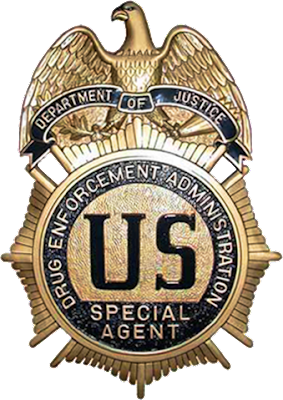 This will give our economic-warfare fighters additional tools to target the group for its drug and other criminal enterprises. The Secret Backstory Of How Obama Let Hezbollah Off The Hook: An ambitious U.S. 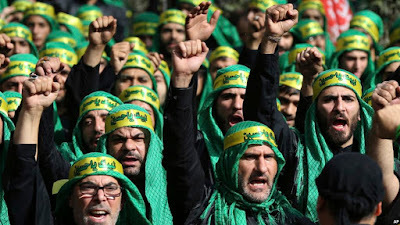 Task Force Targeting Hezbollah's Billion-Dollar Criminal Enterprise Ran Headlong Into The White House's Desire For A Nuclear Deal With Iran. Josh Meyer at POLITICO offers a piece on how the Obama administration killed a major DEA operation against the Hezbollah terrorist group, who are major drug traffickers, so Obama could get his Iran nuclear deal (and to his mind, his august place in history). WASHINGTON, Dec. 19, 2017 — It’s the holidays, and millions of Americans are making their way to visit family and friends. And many of those travelers are military personnel returning home from their duty stations. Many American service members must stay at their jobs because threats don’t take a holiday. According to the most recent statistics available at the Defense Manpower Data Center, there about 1.3 million personnel on active duty, with about 476,000 in the Army; 323,000 Navy; 184,000 Marine Corps; 321,600 Air Force and 41,500 in the Coast Guard. There are 810,800 in the selected reserves. Service members serve on all seven continents -- there is one service member in Antarctica -- and on all the seas. Military personnel in more than 170 countries. Overall, there are more than 60,000 U.S. service members in the U.S. Central Command area of operations and aboard ships. Djibouti -- on the Horn of Africa -- hosts 3,100 American service members, and there are 505 service members in Niger. These are just some of where active duty personnel deployed this holiday season. They are joined by National Guard and Reserve personnel. From its the Navy has been an expeditionary force. Sailors will man their ships from the Persian Gulf to the Gulf of Mexico. Navy officials maintain that roughly a third of the Navy is deployed at any one time. By that measurement, it means more than 100,000 sailors and Marines are afloat on Christmas. The same holds true for Air Force missileers and airmen who will be in the silos, by the planes and in the command centers ensuring the nuclear system is ready if needed. Even all these far-flung areas, service members will take time to remember the holidays. Dining facilities do their best to ensure every service member has a great holiday meal. Centers work overtime to help service members contact loved ones back home. At some places, there will be sporting matches and perhaps the troops may get a bit more rack time. The bottom line is the U.S. military stands guard so the world can know -- or hope for -- peace. Note: In the above Air Force photo taken by Staff Sgt. Katherine Spessa, members of the 455th Expeditionary Aeromedical Evacuation Squadron participate in a white elephant gift exchange on Dec. 25, 2016 at Bagram Airfield, Afghanistan. 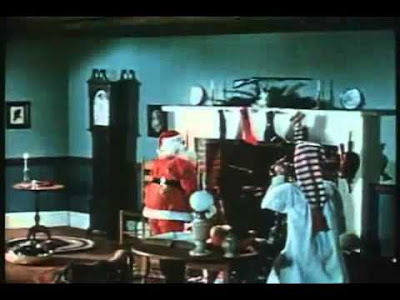 My Crime Fiction: "A Christmas Crime Story"